Adapted and updated from a 2013 post. Fifty years ago this month, Hawaii Five-O debuted. While a cop show, it had an element of international intrigue from the start. The two-hour television movie version version of the pilot, which first aired on CBS on SEPT. 20, 1968, concerned a plot where Red Chinese intelligence operative Wo Fat was torturing U.S. intelligence agents in the Pacific Rim and obtaining important information. Steve McGarrett, the no-nonsense head of state police unit Hawaii Five-O is drawn to the case because the latest victim was a friend of his. The lawman, a former U.S. Naval intelligence officer, isn’t one to back down from official pressure to lay off. The pilot immediately grabbed the attention of viewers. A short pre-titles sequence shows Wo Fat using a sensory deprivation chamber for the torture. That’s followed by a 90-second main title featuring a stirring theme by Morton Stevens. The composer initially thought about re-using the theme he wrote for an unsold pilot, CALL TO DANGER. His wife, Annie Stevens, strongly advised against the move, according to a 2010 STORY IN THE HONOLULU STAR ADVERTISER. As a result, Stevens created one of the greatest themes in television history. The series was conceived by veteran television producer Leonard Freeman, who wrote the pilot. Freeman’s 1967 first draft had a team led by McGarrett, with a mid-20s Hawaiian sidekick, Kono Kalakaua, a third, heavy-set detective and Chin Ho Kelly, who was the Honolulu Police Department’s liaison with Five-O. In the final version of the story, the sidekick became the Caucasian Danny Williams; the Kono name was given to the heavier-set character; and Chin Ho was made a full-fledged member of Five-O. Freeman & Co. were preparing to film the pilot with American actor Robert Brown as McGarrett. 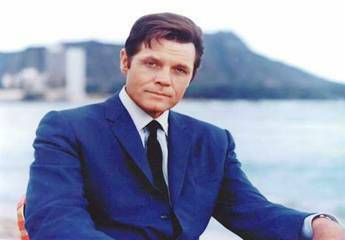 Rose Freeman, widow of the Five-O creator, told a 1996 fan convention in Los Angeles that CBS objected to the casting and, just five days before filming was to start, Brown was replaced with Jack Lord, the first screen incarnation of Felix Leiter in Dr. No. Brown ended up starring in another 1968 series, Here Come the Brides. Perry Lafferty, a former CBS executive, told the story a bit differently in an interview for the Archive of American Television. His version, though, still had Jack Lord as a last-minute casting. The pilot had Tim O’Kelly as Danny. 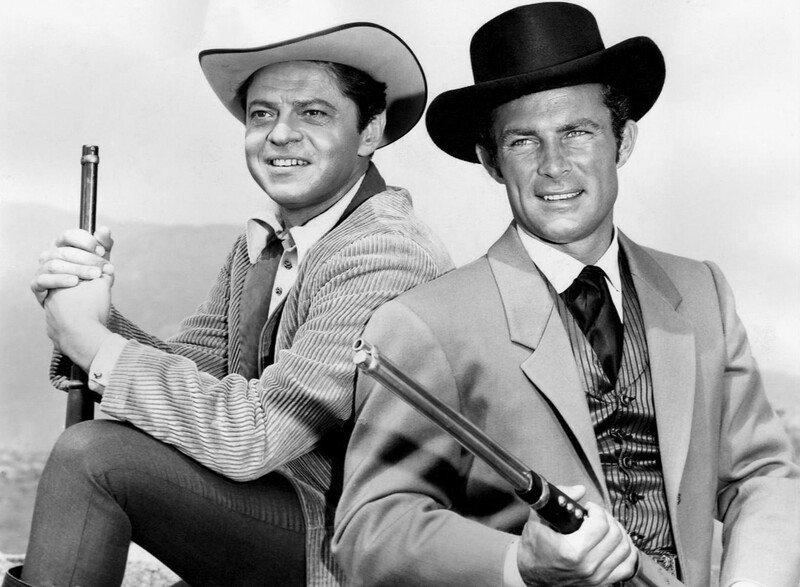 When the series was picked up, Freeman recast the part with James MacArthur, who a small, but notable role in Hang ‘Em High, a Clint Eastwood Western film that Freeman had produced. The international espionage aspect of Five-O remained throughout the show’s 12-year run, though less so in the later seasons. Wo Fat, played by Khigh Dhiegh, made a NUMBER OF RETURN APPEARANCES, including the 1980 series finale. As the U.S. and China began to normalize diplomatic relations, Wo Fat became an independent menace. In the ninth-season opener, Wo Fat attempts to take over the Chinese government. Five-O matched wits with a number of other spies played by the likes of Theodore Bikel (who had tried out for Goldfinger), Maud Adams and Soon Tek-Oh. 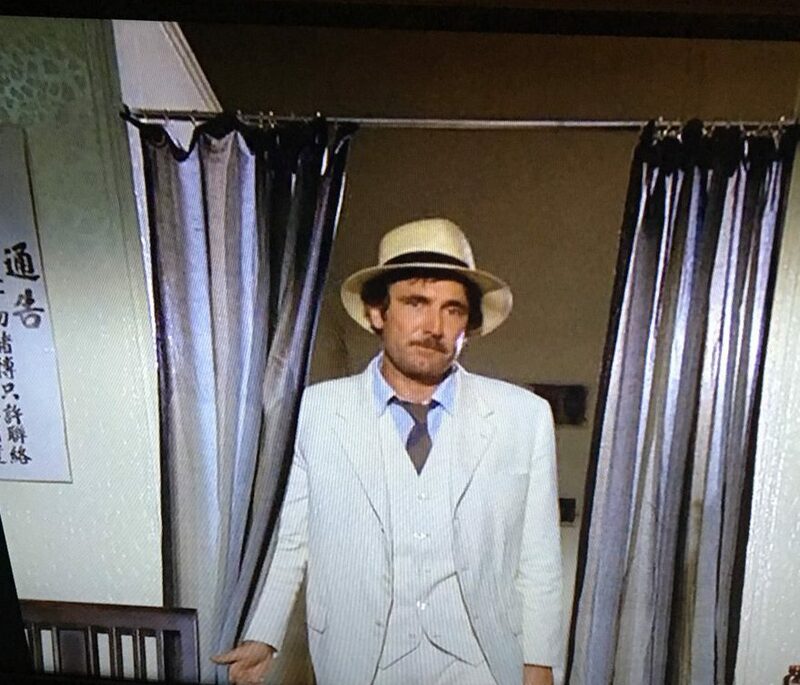 George Lazenby, the second screen James Bond, played a secondary villain in a 1979 episode filmed on location in Singapore. Five-O wasn’t always an easy show to work on. 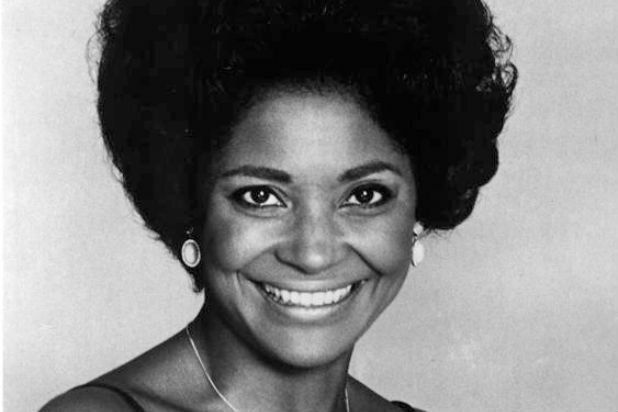 Freeman died in early 1974, after the sixth season completed production. Zulu (real name Gilbert Kauhi), who played Kono left after the fourth season; he told fans at the 1996 convention about problems he had with Jack Lord. His replacement, Al Harrington as another detective, departed in the seventh season. Nevertheless, Five-O had a long run. When it left the air, Five-O was the longest-running crime drama, a status it held until Law and Order, the 1990-2010 series. Lord’s Steve McGarrett emerged as one of the most recognizable television characters. In 2007, 27 years after the final Five-O episode, THE NEW YORK TIMES’S OPINION PAGES summed up Five-O’s appeal. “Evil makes McGarrett angry, but when he speaks, his voice is startlingly gentle, exuding a quiet control that a beleaguered generation of parents surely wished they had when facing the forces of social decay,” reads the commentary by Lawrence Downes. In 2010, CBS introduced a new version of the show, with a slightly different spelling (Hawaii Five-0, with a digit instead of a capital O as in the original), a younger McGarrett (Alex O’Loughlin) and a Danny with more attitude (Scott Caan). The current series is in its ninth season. For the 50th anniversary of the original show, it will feature a remake of Cocoon, the 1968 pilot. The remake is scheduled to be telecast on Sept. 28. The 2010s Five-0 has other significant differences than the original. In the eighth season, the McLaughlin and Caan versions of McGarrett and Danny decided to go into the restaurant business on the side. I can’t imagine Leonard Freeman would have approved. On the other hand, the producers were smart enough to keep the Morton Stevens theme music. Now, as in 1968, it’s still a highlight. Apapted and updated from a 2013 post. Sept. 20 is the 50th anniversary of, arguably, the best television theme of all time: Hawaii Five-O by composer Morton Stevens. The Five-O theme is one of the most famous pieces of music in the world. People who’ve never watched an episode recognize it when just a few notes are played. Over the decades, it’s been used in commercials and been played by marching bands. Yet, the vast majority of those who’ve heard it probably couldn’t name the man who wrote it. In the 1960s, the likes of Stevens, John Williams, Jerry Goldsmith and Lalo Schifrin were busy doing scores for television. Of that quartet, three became big-time film composers. Stevens didn’t. In the spring of 1965, CBS hired Stevens to supervise its West Coast music operation. It was in that capacity that Stevens scored the Hawaii Five-O pilot. But Stevens couldn’t do every job himself. 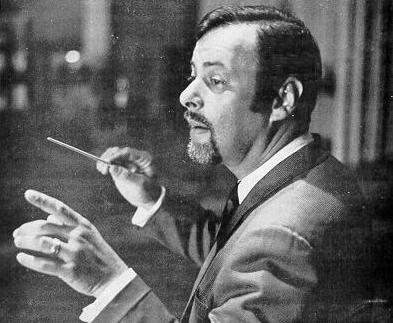 Thus, he hired Williams to score 1969’s The Reivers, which CBS released under the Cinema Center Films label. The Steve McQueen movie helped Williams transition from TV to films. Stevens died in 1991, at the age of 62, of cancer. His lasting music achievement was the original 1968-80 Five-O series. Not only did he write the theme, he created the music template for the series. Stevens delivered episode scores for 11 of the 12 seasons. The Five-O theme was often used by Stevens and other composers in the background music. It showed up as an action riff. It would also be slowed way down for reflective moments in a story. This decade, Stevens got attention for his other work. The DVD set for the 1960-62 Thriller anthology series with Boris Karloff featured a number of episodes where viewers can isolate the scores of Stevens and Jerry Goldsmith. Jon Burlingame, who has written extensively about film and television music, did a commentary track about each composer. He discussed Stevens’ work in detail. In 2016, the blog did a post about Stevens as part of its “unsung figures of television” series. Stevens’ work on Hawaii Five-O represents a paradox. It’s a famous TV theme. Million of people know it. Yet he’s relatively obscure. Stevens had a successful career. Yet his contemporaries — such as Jerry Goldsmith and John Williams — achieved more fame than he did. Regardless, the Five-O theme is a crowning achievement for Stevens. Watching a Hawaii Five-O theme is akin to viewing a James Bond film scored by John Barry. In both cases, the composers established a music template that thrills viewers decades later. Robert Vaughn as Napoleon Solo in the early moments of Act I of The Iowa-Scuba Affair, as photographed by Fred Koenekamp. On June 1, 1964, even the earliest U.N.C.L.E. fans didn’t knew what awaited them in a few months. For the crew, it was another job. What a crew it was. The director, Richard Donner, would eventually become a big-time film director. The writer was Harold Jack Bloom. He shared an Academy Award nomination with episode producer Sam Rolfe on the screenplay of The Naked Spur, a 1953 western starring James Stewart. The director of photography was Fred Koenekamp, who’d later photograph Patton. The composer for the episode was Morton Stevens. While he’d never become famous, Stevens was a few years away from composing the theme for Hawaii Five-O, one of the best-know television themes. When the cameras rolled, star Robert Vaughn, as Napoleon Solo, would be in almost every scene. David McCallum, signed to play Russian U.N.C.L.E. agent Illya Kuryakin, wasn’t even in the episode. But McCallum would make his presence known shortly. The name Morton Stevens is barely known by the general public. Yet his signature piece of work — the theme to Hawaii Five-O (or Five-0 as it’s spelled for the revival series that began in 2010) — is almost universally recognized. In the 1950s, Stevens worked for Sammy Davis Jr. as his music arranger. Then, in 1960, Davis had the chance to perform a dramatic role in The Patsy, an episode of The General Electric Theater, an anthology series. According to television and film music historian Jon Burlingame (in an audio commentary for the DVD set for the Thriller anthology show hosted by Boris Karloff), Davis wanted Stevens to score the episode. Stevens got the assignment and made a career switch. Stevens quickly began scoring a variety of genres, including Westerns, crime dramas and horror (the aforementioned Thriller series). And then there were his espionage-show efforts. Stevens was the first composer to follow Jerry Goldsmith with The Man From U.N.C.L.E. In fact, the very first piece of U.N.C.L.E. music — a few seconds accompanying the U.N.C.L.E. global logo at the start of The Vulcan Affair, first broadcast on Sept. 22, 1964 — was composed by Stevens. When Goldsmith did the pilot, the show was to be titled Solo. 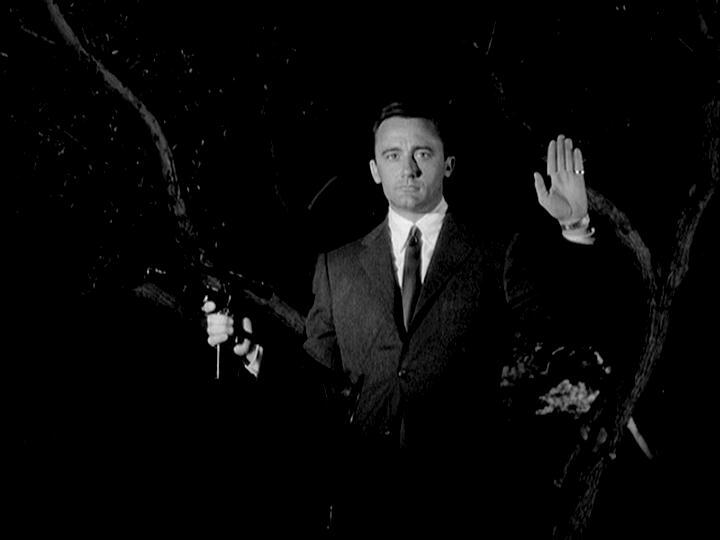 When the show began production of series episodes, the name was changed to The Man From U.N.C.L.E. With that change, the globe logo was devised and it would be shown at the very start of each episode. Stevens’ “insignia” U.N.C.L.E. music (as it’s known) led off the first 14 episodes of the show. Stevens also did the first new arrangement of Goldsmith’s theme, which first appeared with the 15th episode, The Deadly Decoy Affair. It would be used for almost all of the second half of the second season. In all, Stevens did four original U.N.C.L.E. scores but his music was frequently re-used in first-season U.N.C.L.E. episodes without an original score. Often, these “stock scores” paired Goldsmith music (composed for three episodes) with that of Stevens. Their styles melded well. In April of 1965, Stevens became the head of CBS’ West Coast music operation involved with the network’s in-house productions. As a result, he assigned other composers on CBS productions while taking on some jobs himself. In that capacity, he scored the 1968 pilot for Hawaii Five-O. In that production, Steve McGarrett (Jack Lord) locked horns with Chinese spy Wo Fat (Khigh Dheigh), giving the crime drama a spy twist from the start. 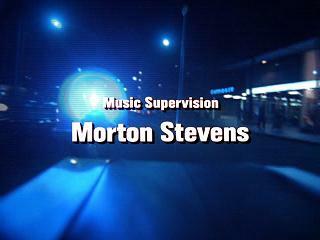 However, if another composer was credited for an episode, Stevens didn’t get a mention. That was consistent with CBS policy at the time, which denied theme credits for many series, including Gunsmoke, which ran on the the network for 20 years. Early in the show’s second season, Stevens did get a “theme by” credit for episodes where he didn’t provide the score. (When Stevens did provide an original score, he still got a “music by” credit.). Eventually, the theme had to be turned into a song. Appropriately, Sammy Davis Jr. performed it. Still, despite how famous the theme became — decades later, it’s regularly performed by marching bands — fame eluded Stevens. Stevens never moved in a major way into scoring movies unlike contemporaries of his such as John Williams (who, ironically, received the job of scoring the 1969 Steve McQueen film The Reivers from Stevens when CBS was releasing films, according to the Burlingame Thriller commentary track) and Lalo Schifrin. Stevens died in 1991. His Five-O theme outlived him, however. When the 2010 version of the show debuted, its pilot originally had a “rock music” arrangement that made the rounds on social media before the new show’s debut. It wasn’t received well. The new series quickly commissioned a more traditional sounding version, which debuted at the 2010 San Diego Comic Book Con. Some of the musicians who performed the theme had worked on the original 1968-80 series. While Stevens gets a credit on the current series, unfortunately it’s during the end titles. Stevens’ credit flashes by so quickly, you can’t really see it. Regardless, his legacy continues. Another in a series about unsung heroes of television. Composer Richard Markowitz, over more than three decades, produced one of the most memorable television themes and contributed to many series. Yet, more than 20 years after his death, Markowitz is far from a household name. With each passing year, Markowitz passes further into obscurity, save for those few (led by writer Jon Burlingame) who follow the careers of television composers. Markowitz’s primary legacy is the theme to The Wild Wild West. The composer scored the pilot to the 1965-69 series’ pilot. Originally, CBS hired Dimitri Tiomkin (who earlier wrote the theme song to the network’s Rawhide series) to write the show’s theme song. According to a Markowitz audio interview that’s an extra on the season one set of The Wild Wild West, producer Michael Garrison didn’t want the Tiomkin theme (which Markowitz described as a ballad). Markowitz, according to this account, was a last-minute hire. Markowitz, in the interview, says he was paid considerably less than Tiomkin. Regardless, Markowitz came up with a classic theme. During the run of the show, Markowitz only received a credit (“Music Composed and Conducted by”) for episodes he scored. (According to his IMDB.COM ENTRY, that was 29 of the show’s 104 episodes). He wasn’t credited for the theme. Thus, when other composers did scores for the show, there was no mention of Markowitz. It wasn’t until 1979’s The Wild Wild West Revisited TV movie that Markowitz an on-screen credit for his greatest creation. The theme showed up in a scene in the 1999 Wild Wild West theatrical movie, but the composer yet again didn’t get an on-screen credit. Also, according to that same audio interview, Markowitz had clashes with Morton Stevens, who took charge of CBS’s West Coast music operation in the spring of 1965. That contributed to Markowitz not being around when the show concluded with the 1968-69 season. Despite that, Markowitz had too much talent for other television productions to ignore. Quinn Martin’s QM Productions hired him frequently (including 16 original scores for The FBI, an episode of The Invaders and some episodes of The Streets of San Frnacisco). He scored nine episodes of Mission: Impossible, including the show’s only three-part story. Universal’s TV operation was another frequent employer, including 71 episodes of Murder, She Wrote. Markowitz died on Dec. 6, 1994 at the age of 68.